Lan Ha Bay 1 day cruise tour Hai Phong departure. 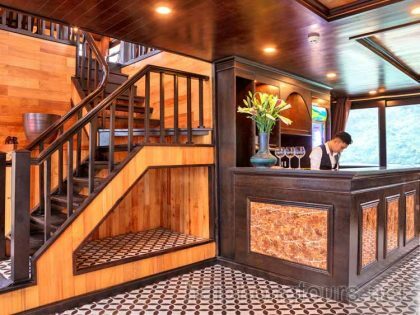 This is new tours designed by Hai Phong Tours in deluxe class. Duration of this tour is around 8 hours onboard. Then it’s more fun and more activities. In this tour, you will be able to visit fishing village, swim, do kayaking or bamboo boat trip, join in cooking class, fruit carving demonstration, visit Dark and Light caves, Tra Bau fishing village. Hai Phong Tours collects people in Hanoi Old Quarter from 7h15 to 7h45. And we pick up in Hai Phong hotel or Hai Phong airport from 9h00. 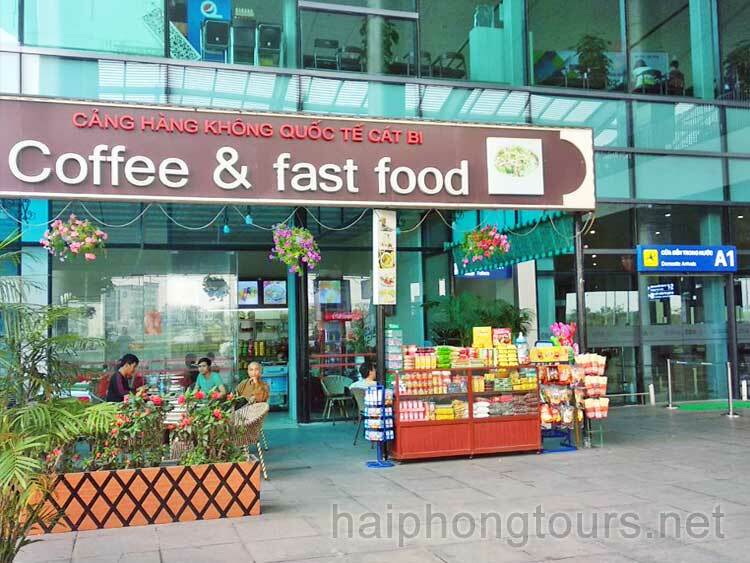 If you land in Hai Phong airport earlier, please wait at coffee shop at A1 gate (click here) untill pick up time. 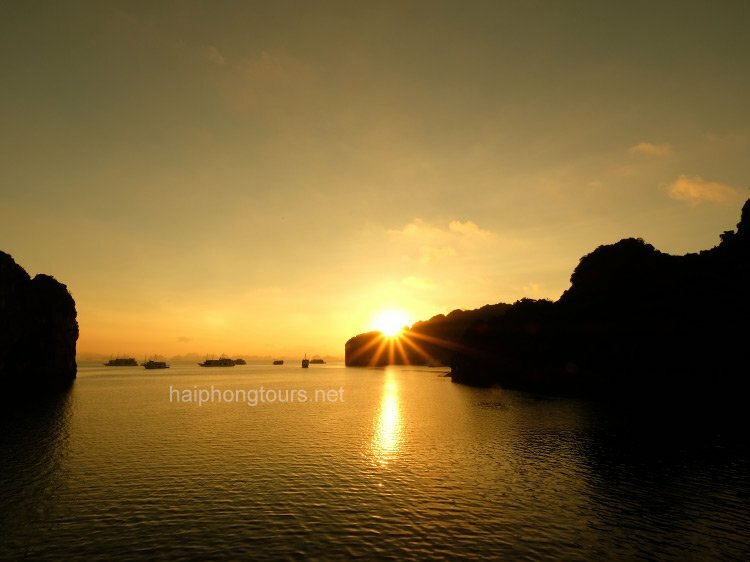 After pick up, Hai Phong Tours will drive you to Got harbor for Lan Ha Bay 1 day cruise tour Hai Phong departure. Around 10h30, we check in onboard. 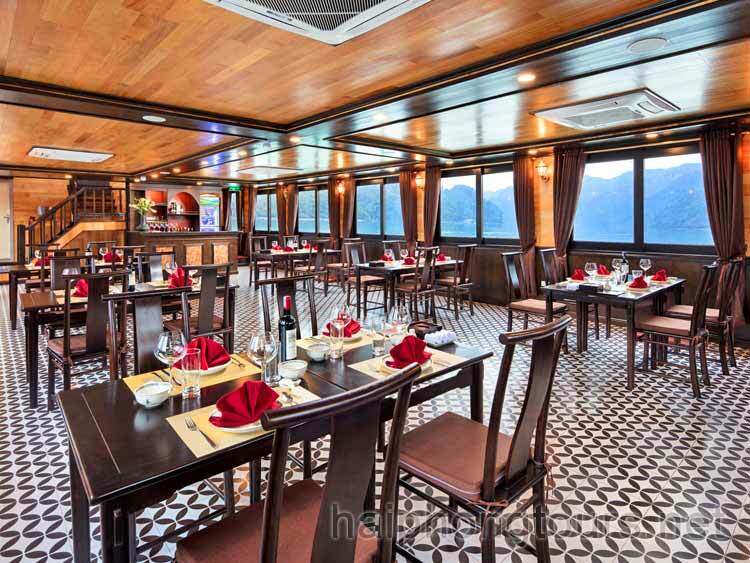 Then you will have lunch onboard during time cruise heading to center. 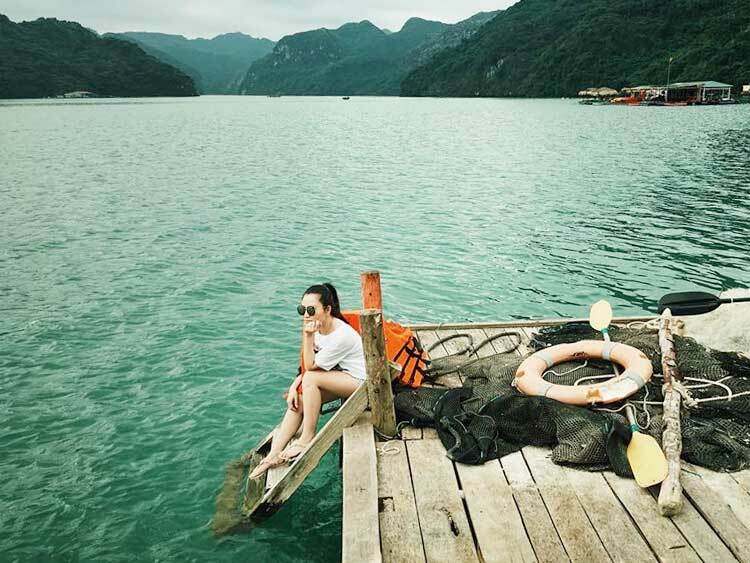 Firstly, around 12:30, you will have chance to do kayaking to explore Tra Bau fishing village. Visit a fishing village and socialize with the resident fishermen in order to know more about their life and how they work everyday. Secondly, we will stop at Dark and Light caves to visit serene round lake surrounded by lush trees and high stone cliffs by bamboo boat. Then let’s enjoy swimming in the private emerald water. 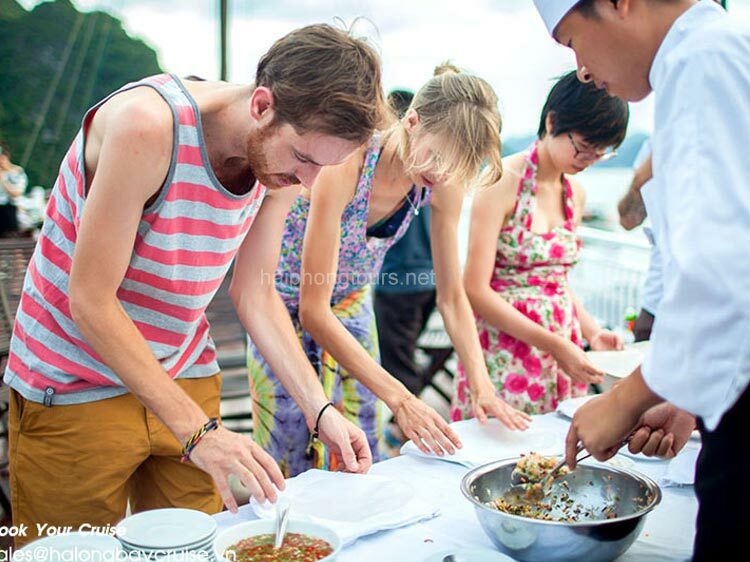 Moreover, you are free to join in our cooking class and fruit carving demonstration, followed by a Western-style afternoon tea with accompanying snacks. Finally, around 17h30, we get back to Got Harbour. 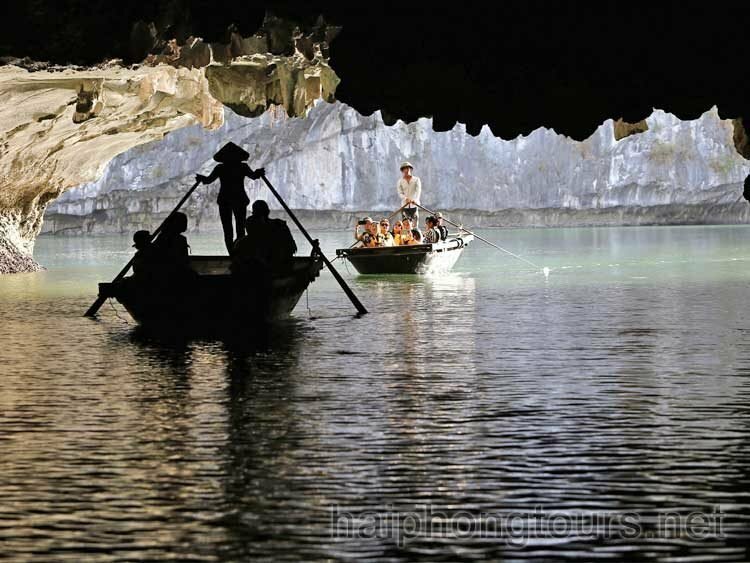 Hai Phong Tours will bring you back to Hai Phong or Hanoi. Please confirm with saleman in advance. Time to arrive in Hai Phong center or airport is about 18h30; in Hanoi is about 20h. 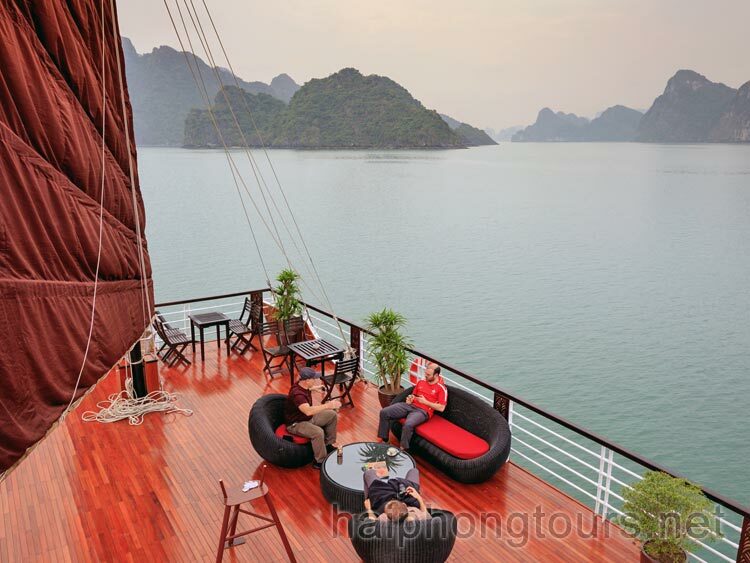 We finish Lan Ha Bay 1 day cruise tour Hai Phong departure here. This is day tour, why it’s expensive? Most of day tours will be around 4 hours. 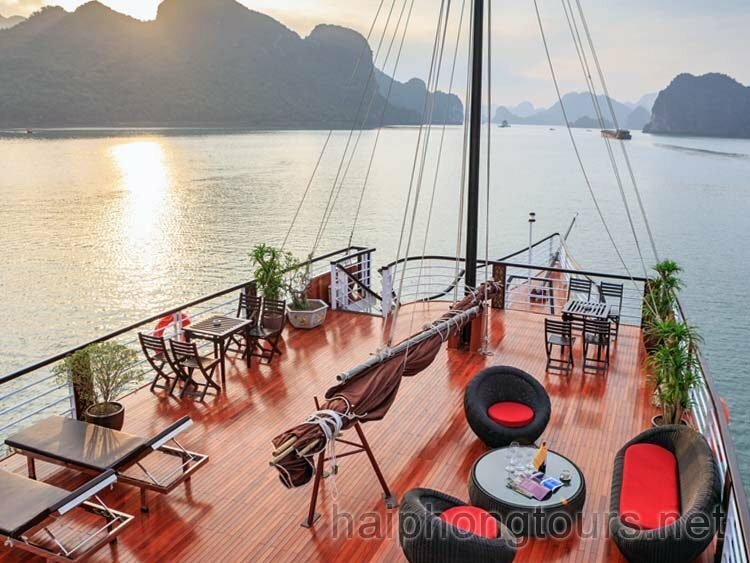 But this Lan Ha Bay 1 day cruise tour is about 8 hours long. 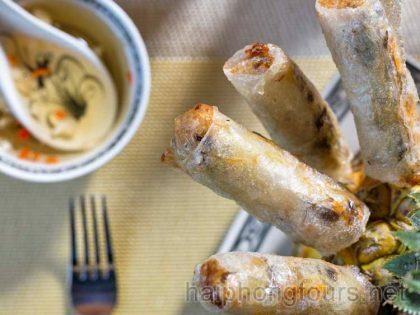 Is it possible to get picked in Hai Phong and dropped off in Hanoi Old Quarter or vice versa? 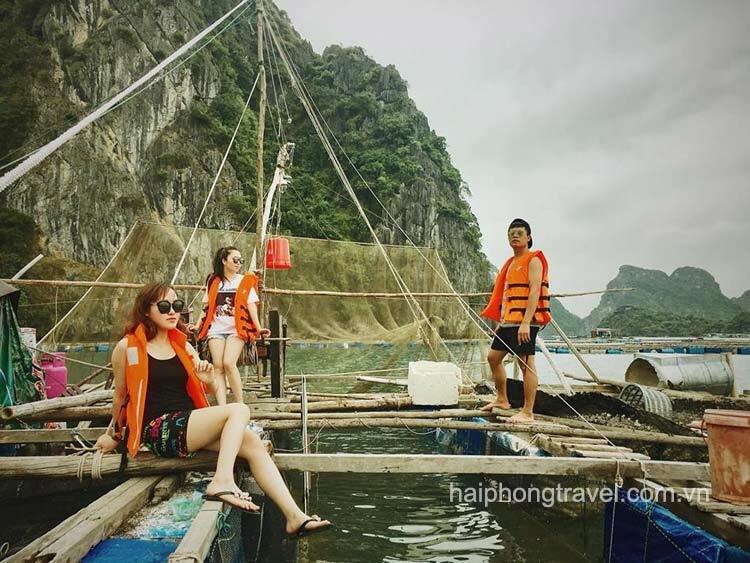 During Lan Ha Bay 1 day cruise tour , can I leave luggage in car/van/bus or onboard? When pick up and drop off places are in the same city e.g. in Hanoi or in Hai Phong, please just leave luggage in car/van/bus. If pick up and drop off are in different cities e.g. pick up in Hai Phong, drop off in Hanoi or pick up in Hanoi, drop off in Hai Phong, we will transfer your luggage to the last vehicle. Please take care yourself valuable, breakable things such as passport, money, camera…We have no responsibility in case of lost or damaged. I can not swim. 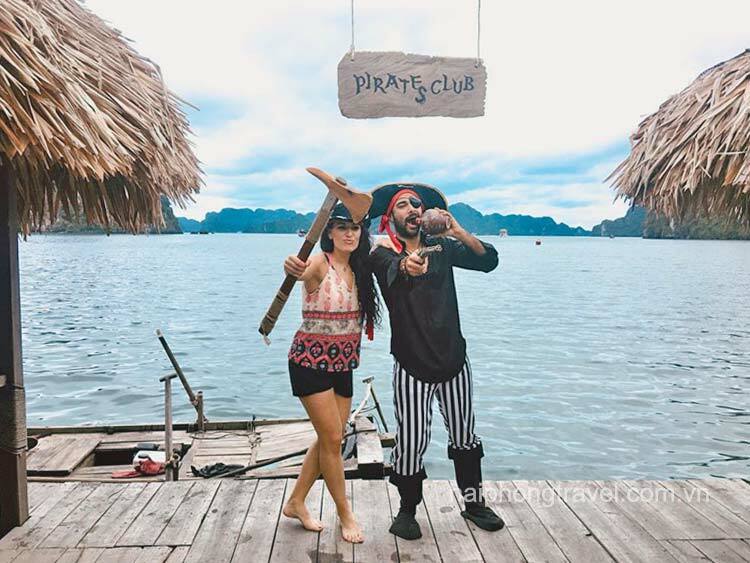 Can I do kayaking or bamboo boat trip? You can do both of them. Life vest is available. But in this case, bamboo boat is more suitable for you. Then you just sit on the boat and rower will do the rest. 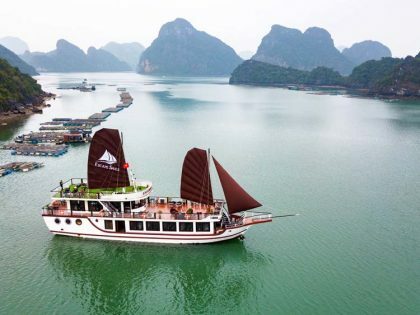 How to pay for this Lan Ha Bay 1 day cruise tour ? Please just “book now” to send us requqest. Then our saleman will send you online payment link. Either you can pay by credit card like Visa or Master card. But If you can not pay online, we will send someone to meet you and collect cash. Payment in advance is required to confirm your reservation. We do not confirm non-guaranteed booking. We travel long time in Vietnam and have many suitcases, can I bring them all? Basicly, we allow 1 person with 1 suitcase maximum to save space for other customer. In this case, the private transportation is more suitable for you. Please inform us in advance to sort this out. However, if we are not noticed in advance, you may need to hire taxi to transfer luggage yourself and we believe you will not comfortable with this. Is it wavy and easy to get sea-sick? 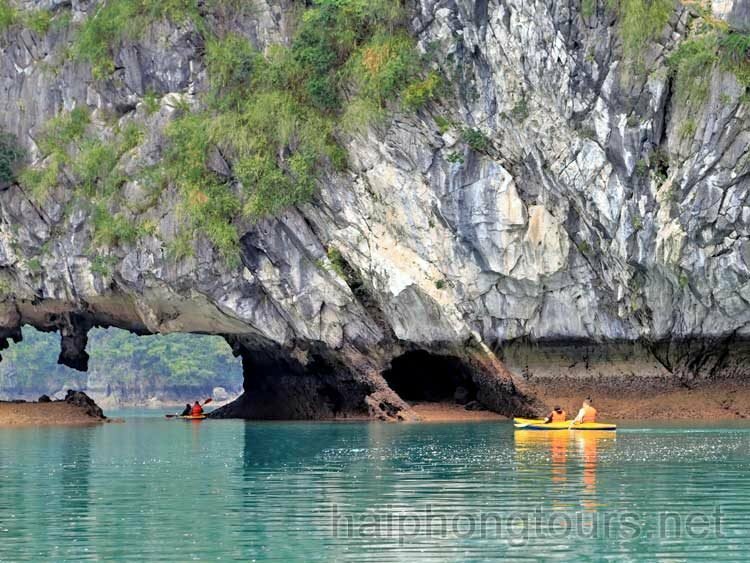 It’s so calm out there as Lan Ha bay is covered by thousands of limestore islets. So it’s hard to get sick! This is really valuable to make. We had lot of fun with Peter – knowledgable guide and funny.